There will be a hard fork to the Bitcoin Cash blockchain on November 15th. 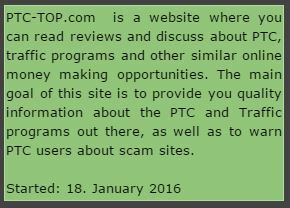 We will not be supporting both coins (Bitcoin ABC und Bitcoin SV). The most important piece of information for our users is that we will temporarily halt the Bitcoin Cash wallets and trading some hours before the fork—this is to comply with current security standards in the industry and ensure all balances stay safe. To have the option to have both coins credited you have to withdraw all your Bitcoin Cash funds before the hard fork takes effect on 15.11.2018 at around 16:40 UTC (17:40 CET) to a wallet where you control your private keys. As there is no exact time when this will take place due to the fact that it happens on a certain block, you should plan to remove your BCH funds in time for the 15th of November. For more information, take a look into Bitpanda’s fork policy in our Terms & Conditions. 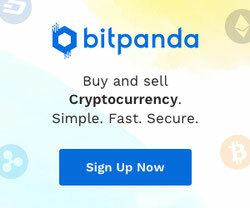 Bitpanda Swap allows you to instantly and conveniently exchange one cryptocurrency for another. 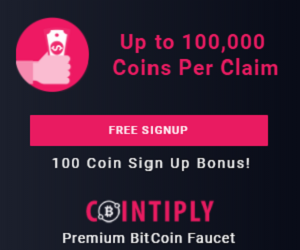 Available worldwide*, no limits, no verification and wallets for each coin and token included. You will soon be able to use Bitpanda Swap in our recently released Bitpanda App for Android. We aim to offer the exact same experience and features in our mobile app as on the Bitpanda website, so we are already working on implementing Bitpanda Swap. There will be a hard fork to the Ethereum blockchain between the 15th to 17th of January 2019. The hard fork—named Constantinople— is a major update to Ethereum’s blockchain protocol which will attempt to address questions of scaling. Despite the update making a lot of changes, it is uncontentious and highly unlikely to spawn any new chains. Therefore, there will be no new coins. The update will alter a number of features and aims to lay the foundation for improving efficiency in the future. The Constantinople hard fork on the Ethereum mainnet is scheduled for block 7080000, which is currently estimated between 15th to 17th of January 2019. You can securely keep your funds in your ETH Bitpanda wallet and you do not have to do anything. We will perform the upgrade and take care of everything for you in the background. In addition we will temporarily disable all Bitpanda Ethereum wallets and may also disable trading if necessary. Wallets could be down around the time the fork takes place. This is to ensure the network’s stability and that all deposits and withdrawals can be safely re-enabled. Native French speakers and users of the cryptocurrency trading platform Bitpanda are now able to change their interface to French. As of now the Bitpanda website and broker platform, the Bitpanda Helpdesk as well as the Bitpanda App, will be completely translated—from its easy-to-handle dashboard to its considerate customer support. This also means that every future Bitpanda product and service will be available in French as well.